Click here to see 2016's gigs! "Andrew Hadro floats over the subtle ebb and flows with a dry, wispy clarinet sound." 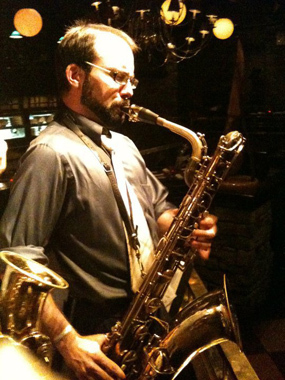 ...his baritone sax jazz playing is loaded with uncommon beauty and startling accomplishment.